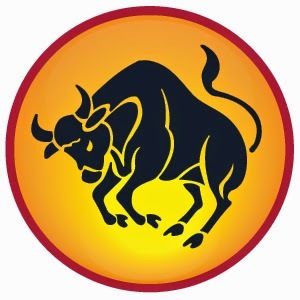 Taurus Sign people can read here Taurus HOROSCOPE 2015, Taurus Astrology, Future Prediction with 2015 Taurus Horoscope. Health, Love, Career, Financial Horoscope 2015 of Taurus. Meaning: They are intelligent, beautiful skilled worker, altruistic and remain always happy and free. During the 2071 Vikram Sawant 24/10/2014, Jupiter is in high amount. The general of devil Rahu is in his friend’s sign while Saturn is in high amount. Saturn will move to Scorpio for the next 2.5 year. Venus and Mercury will also give good fruits. But most of the things will depend on your birth chart. Jupiter will change its movement in the middle of the year. From 14/07/2015 Jupiter will move to Leo sign and before that it was in Cancer sign. No other planet is moving during the year. According to Ganeshji, you have to work hard during this year. You will not get positive support during this year. Mercury is the owner of your financial position which is with conjunction of Rahu. You have to take care in financial matters between 28/03/2015 to 12/04/2015. You have to think about positive and negative result about the decision which you will take. Venus is very important as it is the owner of your health. This year will be good for your health. You have to take care of your health during 18. 19, 20/05/2015, 15/06/2015 and 04/04/2015. Mars and Mercury are very important for love and marriage life. Mars is the owner of your life partner and marriage life while Mercury is the owner of love. However, you will get result according to your birth chart. You may face difficulty as Rahu is in fifth place and Saturn is in seventh place. You may have to face difficulty in relationship. You have to keep patience. You have to work hard during this year. You cannot concentrate on your study as Rahu will affect you. You have to offer Panchamrut to lord Shiva and light ghee’s lamp. You will get relief after 25th July as Jupiter is in good place. Remedy: Feed kheer to seven girls for seven Friday. Do not eat sour food on Friday. Do fast for 16 Fridays and chant Shri Suktam and Kanakdhara Strot. Plant flower near your home. Chant Tatpurushay Vidmahe Mahadeway Dhimahi Tnno Rudra Prchodayat. Venus is the owner of your sign so chant this mantra. Himkundmrinalbm Datyanan Gurum Prbm, Sarvashastrapravktar Bargwan Prnmamyhm.